commented on "Hello! 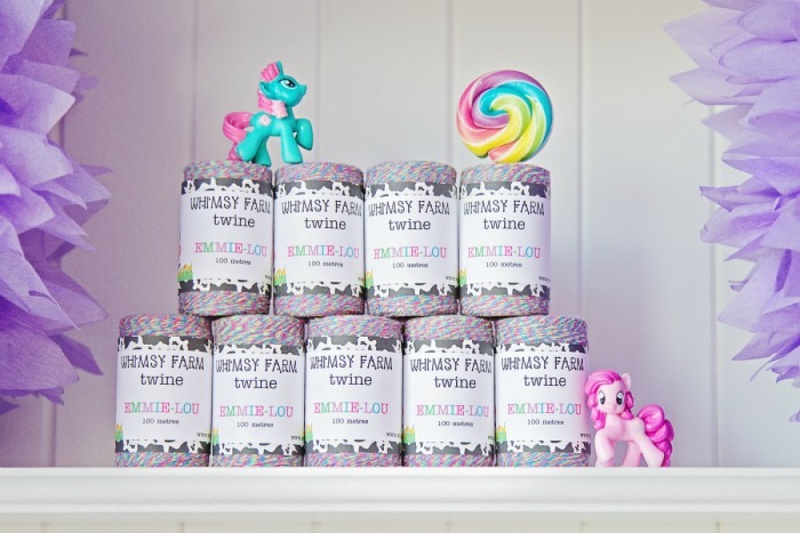 Have you seen the latest twine to be added to the Whimsy Farm Twine range? Emmie-Lou is Pink, Purple, Blue & Green ..."
Hello! Have you seen the latest twine to be added to the Whimsy Farm Twine range? Emmie-Lou is Pink, Purple, Blue & Green twine(that's right, FOUR colours!) perfect for colourful parties for little girls... At least, that's how I used it recently. So pretty!